Puck†Bædeker: Where do bad folks who don't pay royalties go when they die? Where do bad folks who don't pay royalties go when they die? I certainly don't make a habit of watching ABC's 20/20, but I passed by it at a strange moment while channel-surfing this past Friday night. The segment was either titled 'Why are we obsessed with hell?' or 'The fascination with hell's fury'; it's a little hard to tell from their website. I didn't watch the whole thing, but what I saw was a rather sprawling cultural survey of the concept of hell. In the space of a few minutes there was Marilyn Manson defining hell in secular terms, a Roman Catholic cardinal summarizing purgatory, a survey of paintings from various periods depicting Satan, and a clutch of historians relating how our concepts of hell and Satan have changed over the centuries. In the midst of this hodgepodge was a clip from Nirvana's MTV Unplugged special back in 1993. Kurt Cobain is seen singing 'Where do bad folks go when they die?' and then the narrator cuts in. I'm confident I have the quotation correct because the text of the segment is available on the website: "In modern times, who exactly is destined for damnation? Singer and songwriter Kurt Cobain asked that question in his song 'Lake of fire', and later committed suicide." The implication being that Cobain was preoccupied with hell and the Catholic condemnation of suicides to hell. I think there's plenty of other evidence that Cobain did premeditate his decision to end his life, but it's misleading to call 'Lake of fire' one of his songs, because as any 80's alternative fan knows, he didn't write that song. Nirvana was performing a cover of the Meat Puppets song from 1984. I suppose shoddy journalism on 20/20 (and ABC in general) is not very shocking at this point, since that accusation has been made and substantiated at least a few times before. And there probably isn't a huge journalistic consequence to Meat Puppets being stiffed for the credit in a ramshackle segment like this. 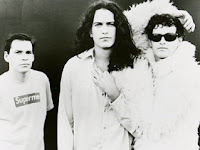 But it bothered me, since Meat Puppets are not mentioned very often these days, despite their undeniable place in the incorporation of country and southern rock influences on alternative rock, and the number of better known acts who have been influenced by them. I don't know the terms of the licensing agreement they made with MTV to air Nirvana's performance of their song, but it's likely that they are entitled to royalty compensation from ABC for this airing. If ABC didn't do the basic research to identify the song in the first place, it's unlikely that any compensation will be made back to the songwriters. We all know the music industry is changing. Artists are likely to make less and less of their money from album sales, and more and more of it from other revenue streams - licensing is a greater opportunity for musicians every year. But to this day, any industry professional will tell you that the materials and methods of processing music license compensation are about as modernized as punch card computers from the sixties. 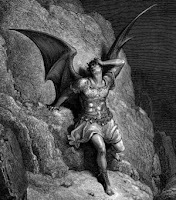 The entire process is conducted more or less manually, meaning huge potential for error, and sins (since hell was our original subject) of both commission and omission. An indie artist can make more money off a single licensing agreement than total album sales. Based on recent ad placements, I'd say this is probably the case for Postal Service (UPS), Rogue Traders (Old Navy), New Young Pony Club (Intel), and Feist (HSBC, Verizon Chocolate) just to name a few. The payout for a five second clip like the one in question with Meat Puppets isn't anything like the payout for a commercial, but the principle stands: give them credit for writing a great dark song that inspired Kurt Cobain to cover it, and pay them the songwriting royalties they deserve when it's aired. For many artists, these small fees add up and become a significant source of income. I've said my piece; all I can do is encourage you to rediscover the twisted little song that is 'Lake of fire' - after all, Nirvana covered many artists explicitly to pay homage to groups they admired - and maybe buy something by Meat Puppets to show your support. Everybody wins.